Kale isn't just for salads. This big, dark leafy green is a staple not only in many healthy kitchens but also for vegans. Kale is a superfood loaded with tons of nutrients, like potassium, magnesium and B vitamins. It has also been said that kale is an anti-inflammatory that can assist in detoxing your body. Who wouldn't want such a healthy ingredient in their diet? Now take that fresh, organic kale and purée it with walnuts and nutritional yeast to make this hearty green vegan pesto. 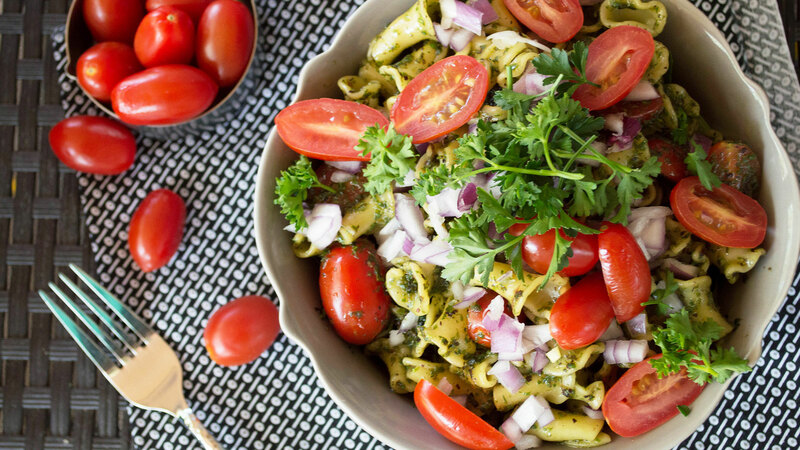 Toss with cooked pasta and fresh veggies for one healthy, delicious pasta salad. This salad is perfect for vegetarians, strict vegans, those who cannot eat dairy or just for someone who wants to try something different. If you have trouble finding nutritional yeast, then go to your nearest health food store. Most times, you can find it where the vitamins are located. 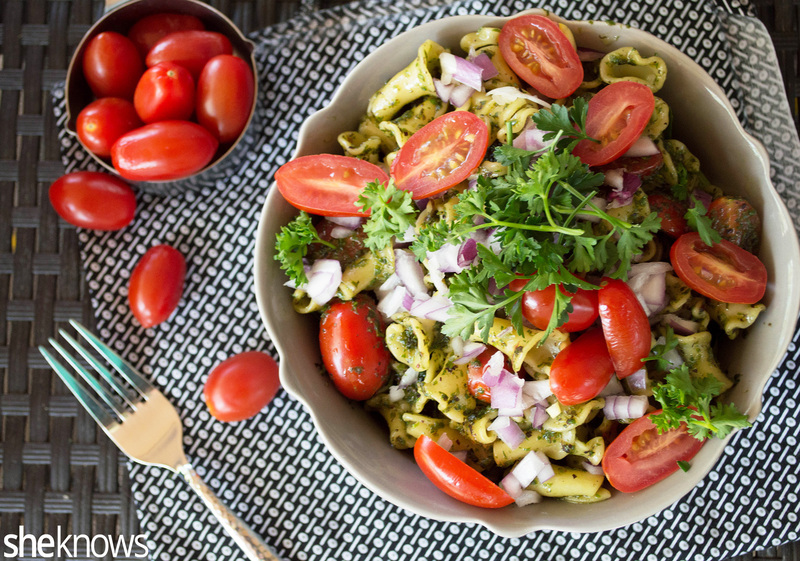 This nutritious pesto recipe is loaded with nutrient-rich kale, toasted walnuts and olive oil and is tossed into pasta along with fresh vegetables and roasted peppers. To a food processor, add all the ingredients for the kale pesto except for the olive oil. Blend on high until all the ingredients become a thick paste. Scrape down the sides of the bowl as needed. Turn the food processor back on, and slowly drizzle the olive oil into the mixture until smooth. Bring a large pot of water to a boil over high heat. Cook the pasta as directed on the package, about 8 to 10 minutes. Drain the pasta, and allow it to cool for 5 minutes, then add it to a large mixing bowl. 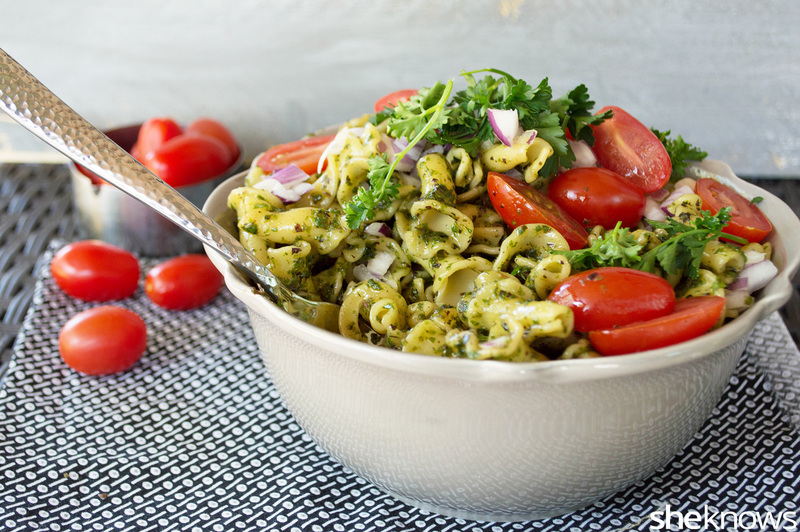 Pour the kale pesto on top of the pasta, and toss well. Transfer the pasta to a serving platter, top with the tomatoes and red onion, and garnish with fresh parsley or other fresh herbs. A version of this article was originally published in April 2015.